(c) Inhales, ingests, applies or otherwise uses any chemical, poison or organic solvent, or any compound or combination of any of these, to a degree which renders the person incapable of safely driving or exercising actual physical control of a vehicle, to drive or be in actual physical control of a vehicle on a highway or on premises to which the public has access. The fact that any person charged with a violation of this subsection is or has been entitled to use that drug under the laws of this State is not a defense against any charge of violating this subsection. Although police cannot stop and test individual drivers without probable cause, the police can investigate any driver who, based on established criteria, appears to have been driving while impaired by alcohol. Most alcohol-impaired driving arrests in Las Vegas are made by officers on routine patrol who discern signs of impairment after stopping a driver for an ordinary traffic violation. 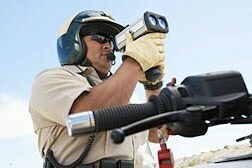 The US Supreme Court has held that properly conducted DUI checkpoints are legal under the Constitution. In Nevada, the primary indicator of whether a person has had too much to drink is their blood alcohol concentration (BAC). The BAC describes the concentration of alcohol in a person’s blood expressed as weight per unit of volume. For example, at 0.10 percent BAC, there is a concentration of 100 mg of alcohol per 100 ml of blood. At the Law Office of Brett Whipple, our clients come first. We are dedicated to protecting and preserving your rights. Every client is treated with courtesy and is guaranteed professional, personalized, legal representation. Do not face any court, the police, or an insurance company alone – get a Las Vegas criminal defense attorney on your side. Speak personally with an experienced criminal defense attorney and Las Vegas speeding ticket and DUI lawyer. Prevent insurance increases and avoid wasting valuable time in court. Protect your rights, your license, your job, and your family. Criminal Defense Attorney Brett Whipple will diligently gather the necessary documentation, apprise you of his legal opinion, and represent you against your adversaries. 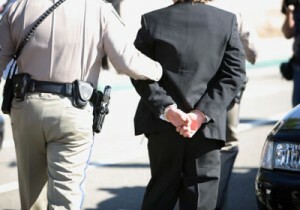 DUI Attorney Brett Whipple will return your phone calls promptly and offers a free consultation. Excellence in LawFollow Attorney Brett Whipple.